This Ewing Family page is included in this Williams web site because three daughers of my ancestor Josiah Frederick Williams married three Ewing brothers. The exerpt from the book shown below is a biography of Edwin H. Ewin, one of the brothers and includes information about the other brothers as well. EWING, Edwin Hickman, (brother of Andrew and Orville Ewing), a Representative from Tennessee; born in Nashville, Tenn., December 2, 1809; completed preparatory studies, and was graduated from the University of Nashville in 1827; studied law; was admitted to the bar in 1831 and commenced practice in Nashville; became a trustee of the University of Nashville in 1831, and served until his death; member of the State house of representatives in 1841 and 1842; elected as a Whig to the Twenty-ninth Congress (March 4, 1845-March 3, 1847); was not a candidate for renomination; resumed the practice of law in Nashville; after the Civil War was appointed president of the University of Nashville; died in Murfreesboro, Tenn., April 24, 1902; interment in Murfreesboro City Cemetery. The document below is an introductuctory letter to the book "Over the Water, Stray Thought on a Long Stroll" by Edwin Ewing's friend Heney Maney. Married 26 Jan 1932 Orville Ewing Born: 6 Feb 1806 - Died: 10 October 1876 in Gainesville FL and buried in the Nashville Old City Cemetery. 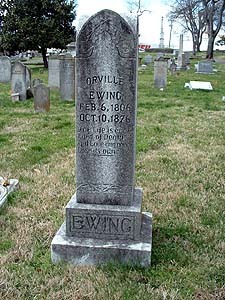 Orville Ewing (brother of Andrew and Edwin Ewing), was educated as a lawyer, but never practiced. 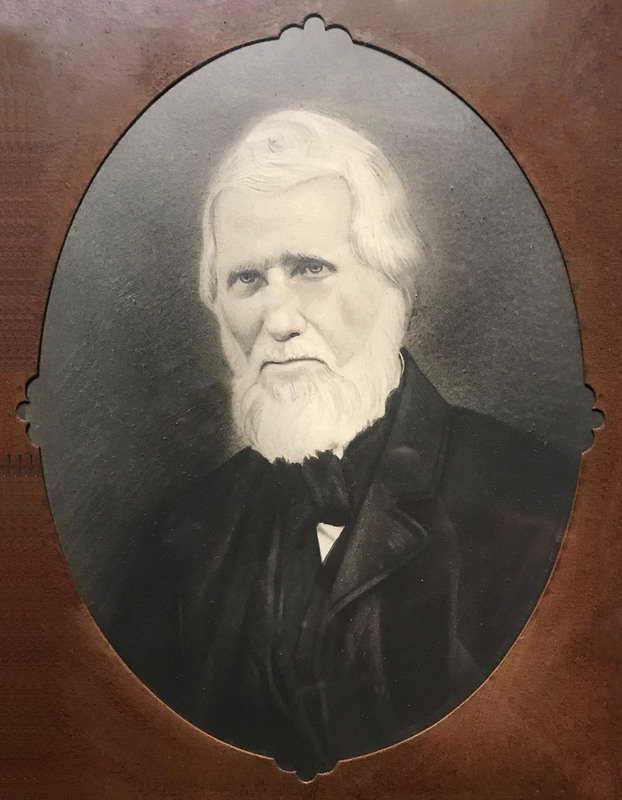 He was president of the Planters Bank of Nashville and the brother of Andrew and Edwin Ewing who were married to Milbrey's sisters. 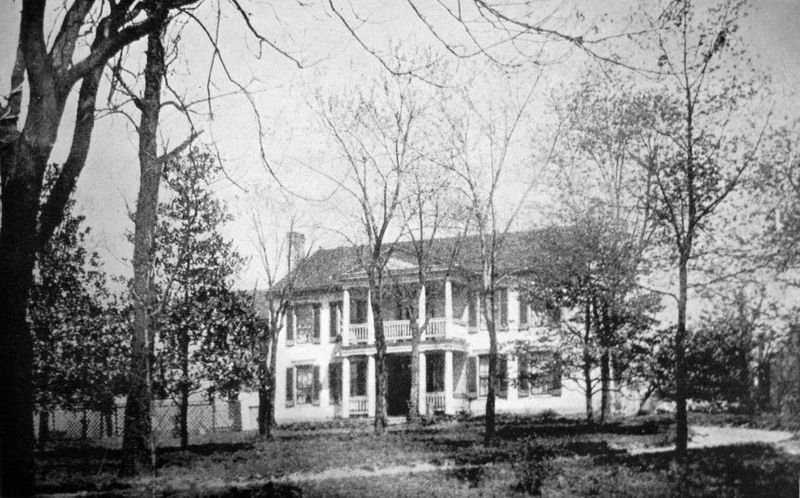 The house below was built by Anthony Foster, one of the signers of the Nashborough Compact in 1780, and was purchased by Orville and Milbrey Ewing who raised seven children there. They were living there during the civil war when Nashville was under military rule and Federal soldiers camped continually on the beautiful lawn. The house was named "Mile End" and was located one mile south of the Nashville square where, in 1905, St. Katharine Drexel founded the Immaculate Mother's Academy, the state's first Catholic school for African-American girls which replaced the house. In 1954 the school was demolished and replaced by a large Sears store which remained there until 1991. Shortly thereafter the Nashville Rescue Mission and homeless shelter occupiied the old Sears store and remains there today in 2008. Leaving downtown Nashville on eighth avenue south, turn left onto Murfreesboro Road (Lafayette Street) and you will see the Nashville Rescue Mission on your right. Milbrey planned the gardens, marking the central square with a tall Norway spruce tree bordered with shrubs and flowers. Graveled walks radiating from the center and intersecting at right angles formed squares where calacanthus, pyrus japonica, licacs, bridal wreath, and roses flourished. On the north side a brick wall formed a natural trellis for the grapevines, and on the south fruit trees and a vegetable garden lay beyound the flower beds. On the east side handsome trees and a hedge of Bois d'Arc formed a green background for the garden. The entrance to the greenhouse was covered with a star jasmine, and here pomegranates, Marechal Neil, and other rare plants were kept. A Catalonian jasmine within its shelter furnished bouquets for many family brides. Mile End, the home of Orville Ewing and Milbrey Horn Williams. 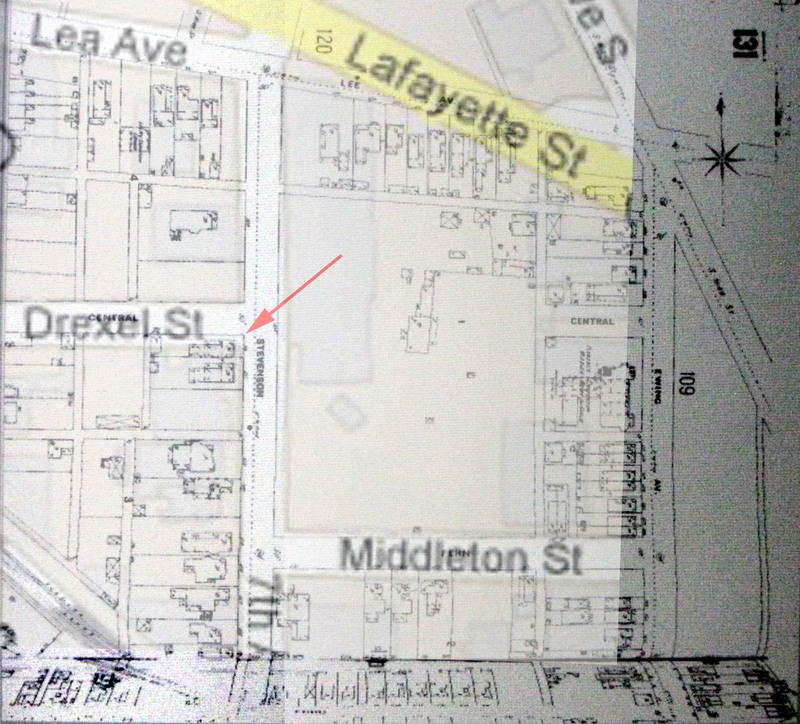 Steven Hoskins wrote the following document about the corner where this house was located. The Sanborn map of Nashville for 1914 shows the location where the Mile End house was located on 7th Avenue just south of Murfreesboro Road, named Lafayette Street. 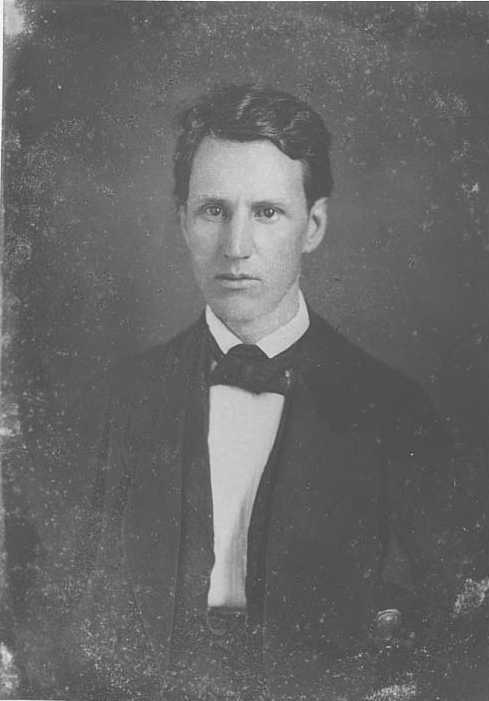 EWING, Andrew, (brother of Edwin, Orville, and Hickman Ewing), a Representative from Tennessee; born in Nashville, Tenn., June 17, 1813; completed preparatory studies, and was graduated from the University of Nashville in 1832; studied law; was admitted to the bar in 1835 and commenced practice in Nashville, Tenn.; chosen trustee of the University of Nashville in 1833, and served in that office until his death; elected as a Democrat to the Thirty-first Congress (March 4, 1849-March 3, 1851); declined to be a candidate for renomination in 1850; resumed the practice of law in Nashville; delegate to the Democratic National Convention at Baltimore in 1860; during the Civil War served as judge of Confederate Gen. Braxton Bragg’s military court and died in service in Atlanta, Ga., June 16, 1864; interment in Nashville City Cemetery, Nashville, Tenn. The image at the right is image 1346 from the Tennessee State Library and Archives Images and Photographs Collection. 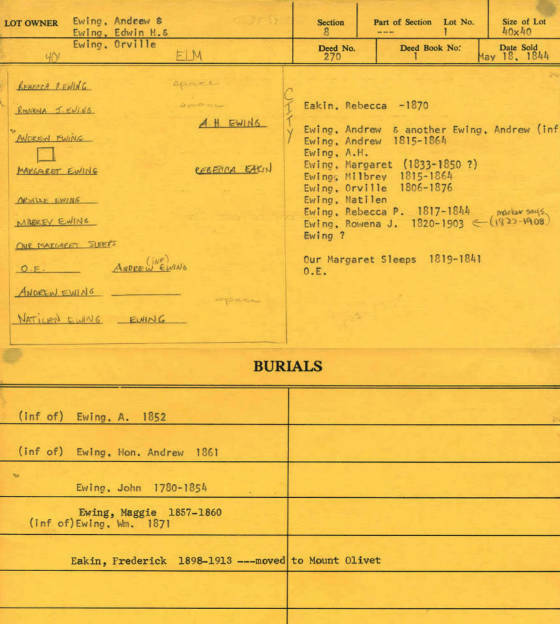 The below document is the record of the cemetery lot at the Nashville Old City Cemetery owned by Orvile, Andrew, and Edwin Ewing. These three Ewing brothers are the youngest three of six sons of Nathan Ewing who was born 11 February 1776 and died 1 May 1830. He moved to Tennessee in 1780 and was Clerk of the County Court of Davidson County from 1813 until his death. Nathan Ewing was the fifth child of William Ewing who was born 29 November 1771 and died 24 November 1845. William Ewing was the third child of Andrew Ewing who was born 15 March 1740 and died 30 April 1813. He moved to Tennessee from Rockingham County VA in 1780 and settled at the present site of Nashville. From 1783 until his death he was Clerk of the Court of Davidson County. Andrew Ewing was a son of the emigrant William Ewing who was born in County Londonderry, Ireland about 1710 and emigrated to Pennsylvania and later moved to Virginia where he died. I have excerpted below the part of the book "The Ewing Genealogy with Cognate Branches" which deals with the three Ewing brothers above and their families. The book below is best read in ful lscreen mode.